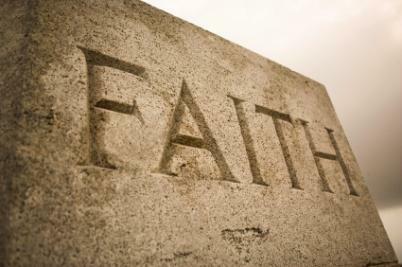 REFLECT: How is faith defined? RESPOND: Identify one item of which you are truly convicted. And, why? Surrounded by such a cloud of witnesses is what encourages me...the wall of Faith...I pray that I can strengthen my faith just as they had strong faith...I like the song, Faith is the Victory! I am learning everyday that if I put my life in God's hands that the faith I have will reward me. I am strongly convicted to be a better witness and spiritual leader among my friends and small group at church. My wife and I recently started teaching a small group of newly married and engaged couples. The conviction we have is awesome and the faith I have in God guides me.